I have always enjoyed doing crafts and being creative. I dream of someday having my own space to set up crafty things and finally be organized. Our spare room full of computery, officey, crafty, pod casting equipment for The C List Podcast/Fruitless Pursuits and the staging area for Mikes’s boardsandbeers.com. This week, I decided to do it anyway on the living room floor. 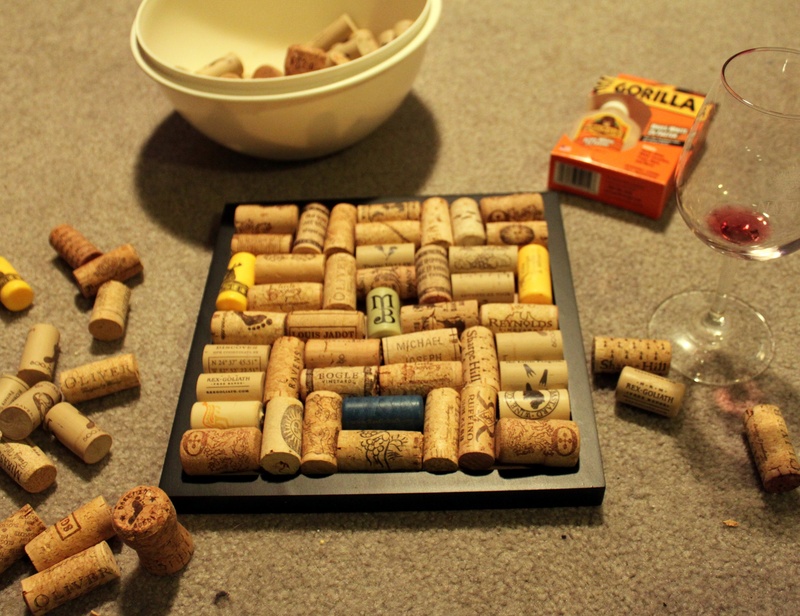 For some reason we have been collecting wine corks for the past few years. There was really no purpose to this…except they were stored in the kitchen basket hanging from the ceiling. Until it fell down…ok about 3 months ago. 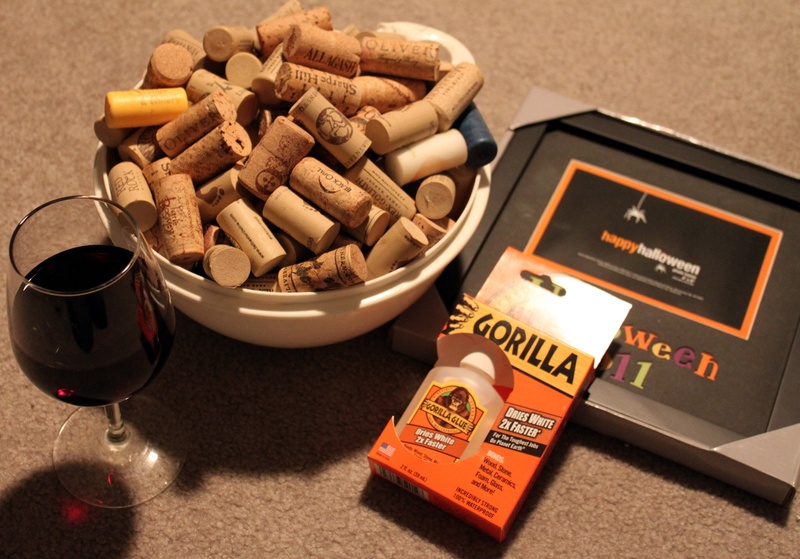 I stopped by Kohl’s and picked up a discounted square Halloween frame to create a trivet. I decided to pick out a few corks that had meaning or just looked really cool. I had to trim a few down to fit the area of the frame. There were only a couple that had be be a bit shorter to squeeze everything in. Laying out the cork pattern...hey, who drank my wine? Looking good! I liked using Ommegang beer corks for the corners. Then using Oliver and Sharpe Hill (a couple local wineries to places I have lived). The MB cork was cool too. There were also a couple with quotes, adventure tools, neat designs (and some that just physically fit well). Almost there...now time to glue! The gluing process was, well, interesting. I thought I would be really smart and use Gorilla Glue because it is strong! This made it a little difficult to work with. In order to use it the surfaces must be wet to create the super strong chemical reaction to hold the pieces in place. 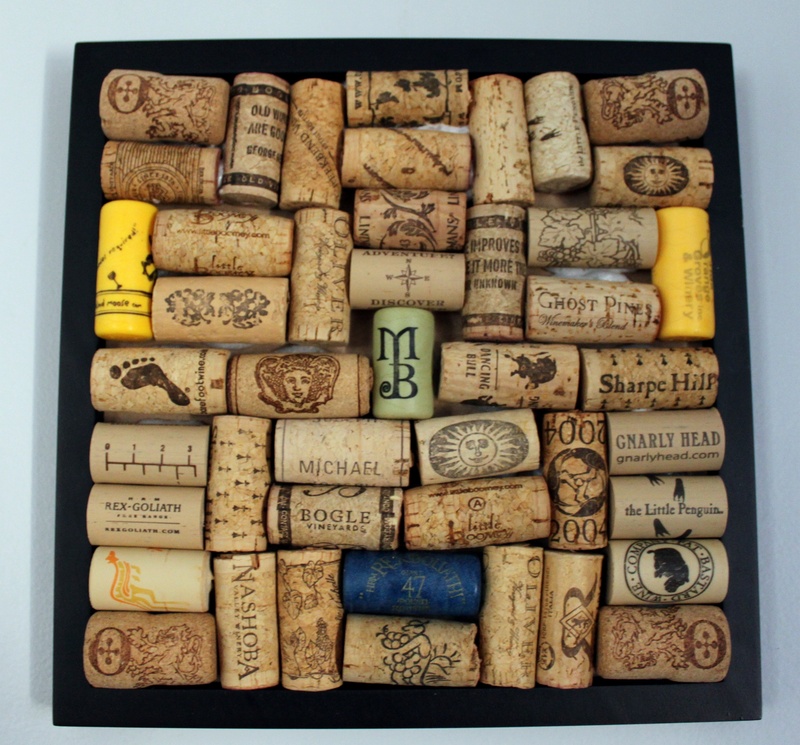 During this phase some of the corks decided to fit very tightly and pop out of the frame and get Gorilla glue on the frame edges, the table and my fingers (remember water creates the chemical reaction, so it is very hard to wash off!) It also bubbles a bit when it dries so now it can been seen in between the corks. In retrospect I think hot glue would have been easier to work with…but potentially would need more maintenance down the road. 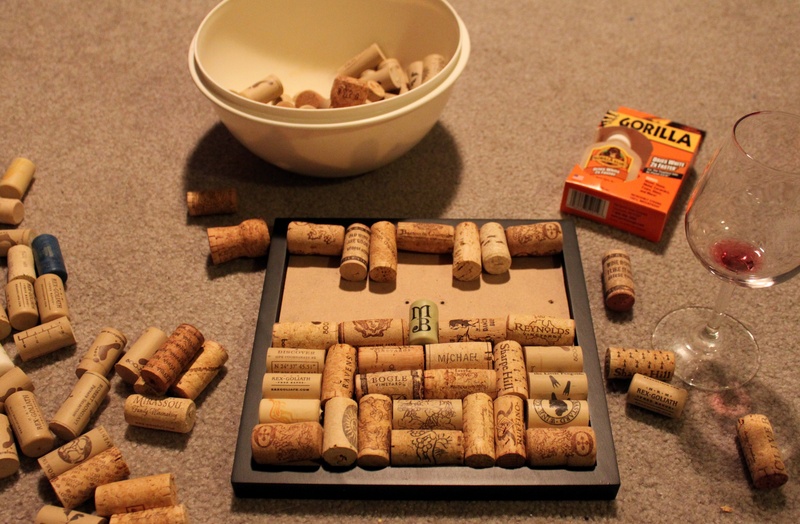 Before I glued, I switched a couple corks around…and added some I found at the bottom of the cork bowl. All and all, I really enjoy it!! 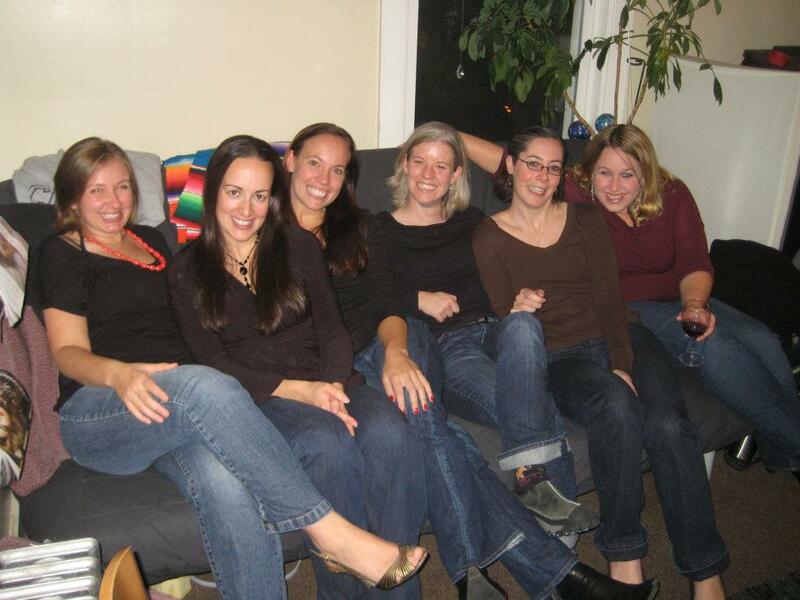 Still having a blast with the girls from the past! I am always amazed that I still am able to get together with friends I have had since preschool and elementary school (Yay Christine and Sara). Even though it is not a frequent as we would like due to life happenings and distance, we still make it happen! This past weekend we were able to meet up at Sara’s in Providence. We had a great time catching up, eating cheese and crackers and drinking wine! Thanks again girls for a good night! See you again soon!